Update: Dareen Tatour was released on September 20, 2018 after serving 42 days in prison. Her sentence was reduced by 97 days. Tatour also spent three years under house arrest prior to her imprisonment. 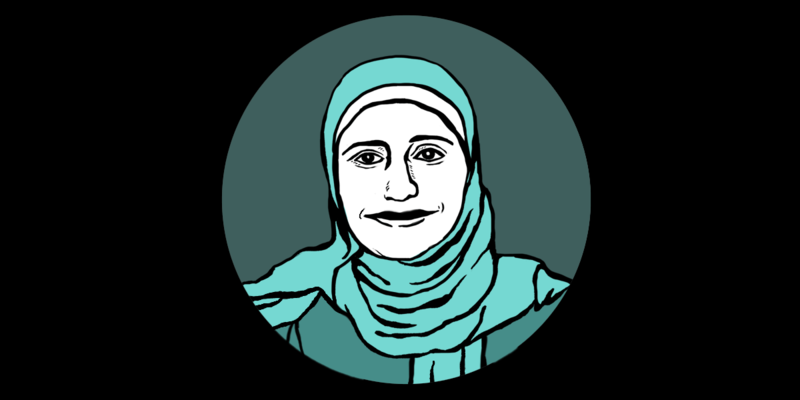 Read more about Dareen Tatour's time in prison in her own words. Dareen Tatour is a Palestinian poet, photographer, and activist from the village of Reineh, in northern Israel. In addition to publishing her poems on the Internet and participating in local poetry readings, Tatour is also a photographer and novelist. In 2015, she was arrested during a period of extensive unrest in Israel and charged with “incitement to terrorism and support for terrorist organizations”, apparently stemming from Tatour’s Facebook posts and a video uploaded to YouTube that featured Tatour reading a poem. On October 3, 2015, Tatour posted a video of her reading the poem “Resist My People, Resist Them,” on YouTube, over images of Palestinians clashing with Israeli forces. On October 4, 2016, she shared an article from the website Islamic Jihad that called for “continuation of the intifada” in the West Bank an Arabic word that can be translated as “uprising” or, more broadly, as “resistance.” Following that post, on October 9, Tatour posted a photograph of Isra’a Abed, who was shot by security officers in the Afula bus station, and captioned it with the phrase “I will be the next martyr,” using the Arabic word for martyr, shahid. Although shahid is used by some to describe those who participate in suicide bombings, the word is most commonly used by Palestinians and other Arabic speakers to refer to victims of state and other violence. The Free Dareen Tatour campaign offers actions you can take. On October 11, 2015, Tatour was arrested and jailed for three months. In January 2016, she was released under house arrest in Tel Aviv with the condition that she would be denied Internet and mobile phone access. Tatour’s trial began in April 2016, but her testimony was postponed until November because the court could not find an appropriate Arabic-Hebrew translator. Despite the search for a competent translator, prosecutors apparently relied on a police officer’s misleading translation of the controversial and layered Arabic words used in Tatour’s poetry. On May 3, 2018, Tatour was convicted on charges of incitement to terrorism and support for terrorist organizations. At her sentencing hearing on July 31, Tatour was sentenced to five months in prison by the Nazareth District court. Many international organizations such as PEN International and numerous individual writers have advocated for Tatour and organized campaigns on her behalf, pointing out that Jewish Israelis who similarly post explicit calls for violence against Arabs on social media are generally not arrested. Tatour’s arrest and conviction is part of a larger trend in Israel of arresting and convicting Palestinians on terrorism-related charges based on social media posts. Tatour is one of 400 Palestinians who has been arrested for social media posts since October 2015.